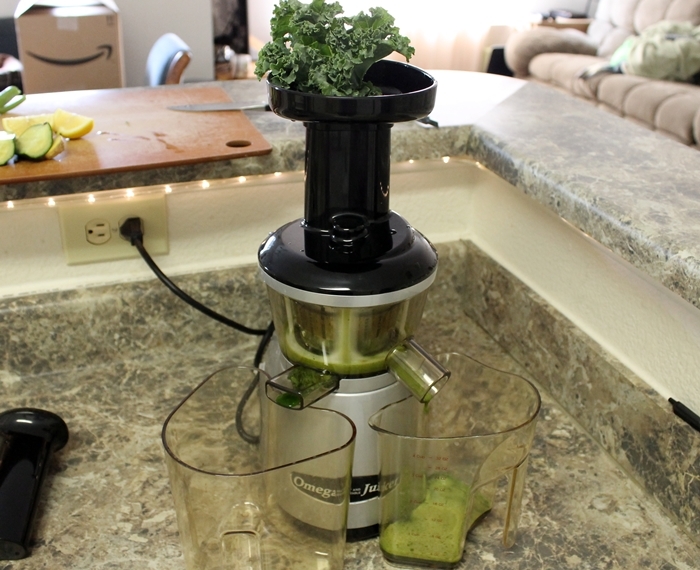 I made my first veggie drink with the juicer this last weekend. It was…different. Very leafy tasting. Like a liquid salad. Not bad but not stand-up-and-get-excited good either. Just very different. I had no idea what to expect so I can’t say that it didn’t meet my expectations. It was just a new experience all the way around. I reduced this recipe to try to make a one serving portion for me to try out. 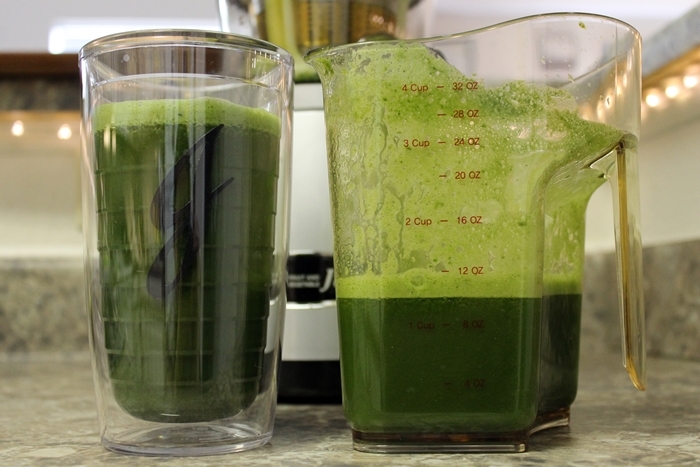 The juicer performed well. It jammed up once, just a little on the greens. I think it was the overabundance of parsley and I think I was pushing it too fast. 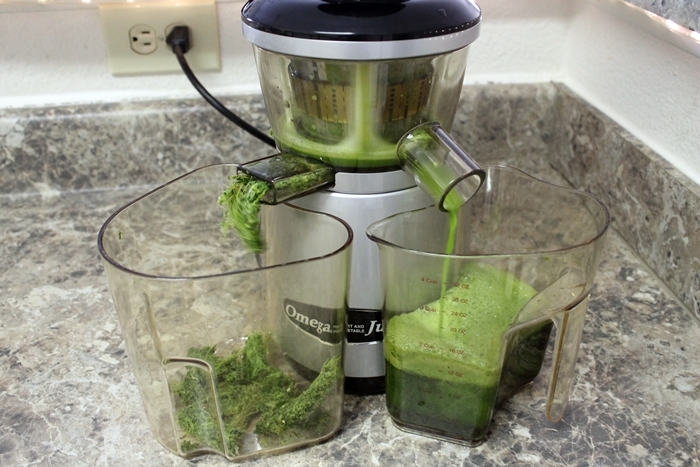 It’s a masticating juicer so it runs slower (and quieter) than the ones that sound like aircraft taking off. Luckily, it also has a reverse button which worked wonders for eliminating the jam. I got about 20 ounces of juice out of it all. I’m not sure what I think about the whole process. 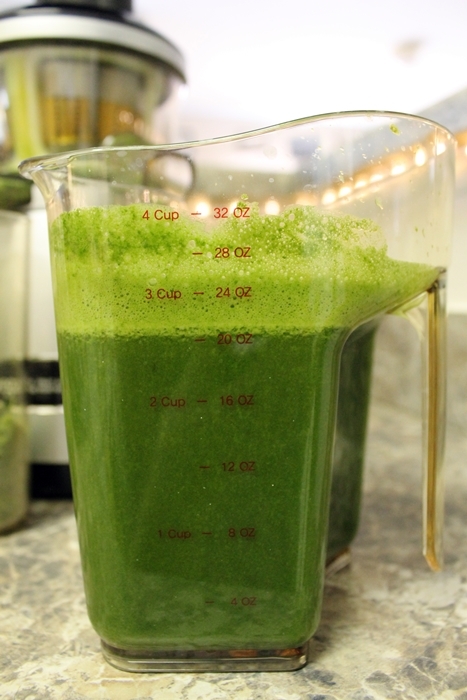 I’m not keen on the ratio of food to juice. It’s a lot of freaking food for not very much juice in my book. 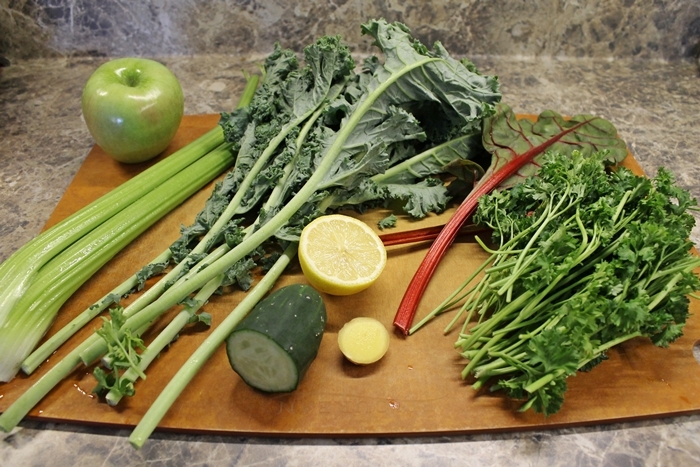 And, as one of the cautions I’ve read about juicing, it didn’t really fill me up or make me feel like I’d had lunch. I managed until dinner but it definitively isn’t as filling as our green smoothies. I think more experimenting must be done. to suit your needs? I wouldn’t mind writing a post or elaborating on most of the subjects you write related to here. Again, awesome website! I really appreciate the compliment! I’m not opposed to guest content but I’m not sure how it would fit into the format of my blog since it’s primarily a personal sharing space, not me writing authoritatively on any particular subject. If you’d like to run some ideas by me, message me privately through my Contact Page. I also suggest that you post comments to elaborate on subjects as they are posted. There’s no reason why you can’t share your opinion as well on a topic at the end of the post. That might be the best way to add content if you have something to add. Thanks again for stopping by!